You can read more about that strategy in our articles about content design. You may or may not be familiar with this scene from the children’s book ‘Abeltje’ by Dutch author Annie M.G. Schmidt, in which a young elevator operator from a sleepy little town travels around the world in a flying elevator. Your story shouldn’t just hint at suspense, the tension should actually be present. A shift needs to happen. What is the turning point? To use one of the most famous examples from film history: what if Neo had chosen the blue pill instead? ‘The Matrix’ would have been a very short and uneventful film. You can write a suspenseful story with a clear turning point and still get the whole thing wrong. Your story’s underlying message should suit your brand. Always keep that in mind when writing an article (or when having one written) and avoid getting lost in the story itself. Wix.com did an excellent job of that in their 2017 Super Bowl commercial. With lots of action and humor (and a few major celebrities), the brand showcases exactly how easy it is to update your Wix website with minimal effort, in a rush, and even on the go. A classic challenge for fiction writers: show, don’t tell. But even in a blog post for a B2B company, you can still apply that technique. What are the examples and descriptions that allow you to make your point implicitly? Try to write a story in which you describe what you (the main character) see, hear, feel, smell, or think without actually using the words see, hear, feel, smell, or think. It’s impossible to write the perfect story all in one go. The main stumbling block is to spend too much time writing the first sentence or paragraph. Do you have a good idea? Then start writing. Once you have the whole story on paper, it’s time to stop. After that, it’s a solid plan to let your story marinate. That could be one night or even a week. Don’t let it linger for too long (a month or longer) or you might lose your initial enthusiasm. Now that you’re looking at your story with fresh eyes, it will be much easier to finalize. Now how does this all relate to search engine optimization (SEO)? How does this make it easier to find you in Google searches? At first glance, it seems unrelated. Perhaps your story’s subtitles aren’t very search engine-friendly, in which case your site will take longer to index. Even so, writing this way can feel very refreshing. By telling a great story based on a user story, your potential customers will spend a lot more time on your page when they click through from the search results. That’s a very positive signal to Google and should result in a rankings boost! Does that mean you no longer need to consider keywords and other SEO factors? No. Dropping those factors altogether isn’t the greatest strategy. Using a tool that serves you automated SEO tips, lets you make smart changes to your content. 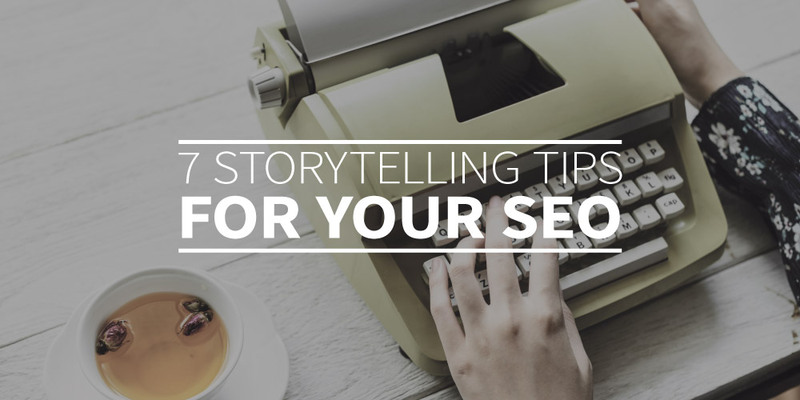 That way you’ll not only create a great story but also land higher in Google results!